There are so many things that can go wrong during a wedding ceremony that our hair curls a little just at the thought of it. Even though you cannot predict a rainy day or a cancelled flight, there are some things you can have in mind that may either make or break your wedding ceremony. 2. Let the groom start drinking before the ceremony – we all know how stressful a wedding day can be for a man, especially if he is the groom. Applaud his fellows’ suggestions that he should have just one more sip of whatever liquor they have and you’ll be guaranteed an ugly picture looking straight at you (or at least trying to do so) at the wedding ceremony. 3. Rush through the ceremony – yes, we are aware of the fact that there’s a ton of other events that should take place today and you are in a hurry. But, remember that your camera man is taking pictures and there’s a video being shot, so you might want to slow it down at least during the ceremony. 4. Leave your phone turned on – if there’s anything that can spoil a wedding ceremony like hell, that’s the sound of a ringing phone just in the middle of the “I do” part. 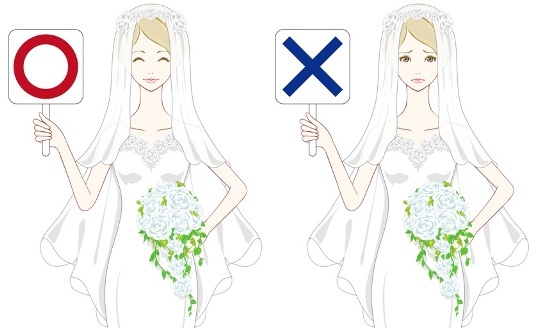 Do you have any suggestions on how to spoil a wedding ceremony? Add to the list in the comments below!